As you have no doubt heard, Republicans successfully took control the U.S. Senate last night, and in the process, dethroned one of the most anti-gun Majority Leader’s in the history of the Upper Chamber. As of now, the Republicans hold a 53-seat majority, although they may gain another seat in Louisiana. Voters across the United States stood against President Barack Obama’s policies and, in doing so, have elected candidates who will stand up for the Second Amendment. We now have more new pro-gun Senators and Congressmen heading to Capitol Hill to aid as reinforcements in the battle to protect our right to keep and bear arms. GOA’s Political Victory Fund was proud to endorse a number of these new pro-gun Senators -- men and women who will stand up for the Second Amendment and for the freedom of firearms ownership. 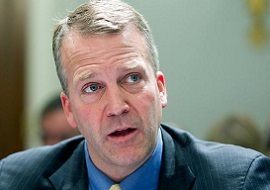 Dan Sullivan defeated anti-gunner Mark Begich in Alaska after a tight race in which many thought Begich was sure to win. Dan received an "A" rating from GOA because he supports good pro-gun legislation such as the right to carry -- and opposes gun control measures like the so-called "assault weapons" ban and universal background checks. Former Sen. Mark Begich was "D" rated with GOA. Among his many anti-gun votes were his support for anti-gun Justices Elena Kagan and Sonia Sotomayor. Both are rabidly anti-gun and are now serving permanent positions on the Supreme Court -- thanks, in part, to Begich. Many Court watchers expect that over the next two years, there will almost certainly be at least one new Supreme Court Justice nominated by President Obama. 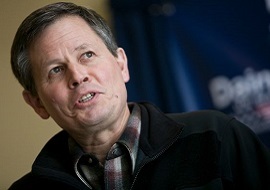 In Montana, former Rep. Steve Daines cruised to victory, easily beating his anti-gun opponent, Amanda Curtis, by a margin of 57—40. Anti-gun Sen. John Walsh decided not to run for reelection after he was caught up in a plagiarism scandal. GOA endorsed Steve early in his campaign and worked closely with him during his tenure in the U.S. House of Representatives. He has proven himself to be a staunch Second Amendment supporter, and he will bring a much needed pro-gun vote and leadership to the Senate. After spending months being trashed in the media and being told he had no chance at winning, Rep. Cory Gardner defeated Sen. Mark Udall in Colorado, as the residents of the Centennial State fired their one term incumbent. As Senator, Udall joined other Democrats by voting for the anti-gun Sotomayor and Kagan as Justices to the Supreme Court. Not only that, he voted with anti-gun President Obama 99% of the time and was endorsed by the anti-gun (former) New York City Mayor Michael Bloomberg. 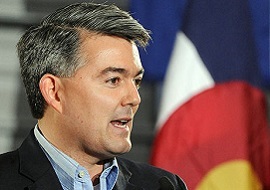 In contrast, Cory Gardner has been a stalwart defender of the Second Amendment while serving in Congress, and now that he is serving in the U.S. Senate, Colorado gun owners have one pro-gun Senator they can depend on. 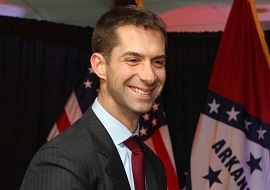 In Arkansas, anti-gun Senator Mark Pryor tumbled to defeat as the voters in his state threw their support behind Rep. Tom Cotton. Tom has been a Second Amendment advocate in Congress, co-sponsoring national concealed carry reciprocity and H.R. 35, which would repeal the gun free school zones ban. During his tenure in the Senate, Mark Pryor consistently voted against the rights of law-abiding gun owners. For example, he voted for a veteran’s gun ban (in 2013) that would send a person to prison for 15 years for selling a firearm to a veteran, without realizing that he was one of the 175,000-plus military veterans who was put into the NICS system for PTSD. Tom Cotton ran on constitutional principles and on his sound voting record, which helped him defeat the heavily-entrenched Pryor by 17 points. When longtime anti-gunner Sen. Tom Harkin decided he would not seek reelection in 2014, Second Amendment advocates breathed a sigh of relief. Although, most pundits assumed that his equally anti-gun House counterpart, Bruce Braley, would crush any competition in the race and become Iowa’s next Senator. 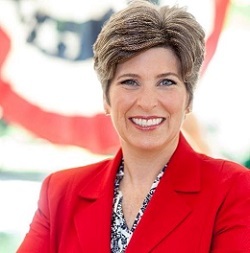 But State Senator Joni Ernst threw her hat into the ring and emerged out of a crowded primary field earlier this year. Boasting a pro-gun voting record while in the Iowa State Senate, Joni used the last two months of the campaign to steadily gain ground on Bradley, eventually taking the lead in the polls and winning by 8.5 points. 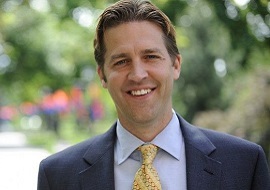 In Nebraska, Ben Sasse comfortably defeated Dave Domina by more than 30 points once the race was called. GOA endorsed Ben early on in his primary, given that he has put forward a strong pro-gun message. After cruising to victory on Election Day, Ben will now head to Washington, D.C., to join fellow pro-gun Nebraska Senator Deb Fischer in the fight to protect our God-given Second Amendment rights. Victory wasn’t limited to the U.S. Senate only. GOA also endorsed numerous non-incumbent candidates running in open seats or against anti-gun incumbents. Many, many other pro-gun House incumbents also won their reelection campaigns, and GOA looks forward to our continued relationship with their offices. It is paramount that solid constitutional Members maintain a strong presence in the House to keep Speaker Boehner and the Republican Leadership accountable. Gaining these eight new pro-gun representatives will provide much needed reinforcements to the pro-Second Amendment congressmen who are already there. After spending millions of dollars spewing lies to the American public, Michael Bloomberg and the gun control movement lost heavily this election cycle. (His one notable victory took place in Washington State, but even that battle showed the weakness of the anti-gun movement.) The myth that running a campaign supporting the Second Amendment evaporated at the polls. Anti-gun incumbents repeatedly were met with defeat as their pro-gun counterparts crushed them, often times by double digit percentage points. GOA will now focus efforts on holding these men and women accountable as they serve the citizens who sent them to Capitol Hill to protect this country and uphold their constitutional oath. Please help Gun Owners of America with a generous contribution so that we can continue to fight President Obama and make sure that the gun control movement doesn’t gain more ground. Texas Governor-elect Greg Abbott (R) says he will sign a bill to legalize the open carry of handguns as soon as the legislation reaches his desk. Abbott spoke to reporters in Austin the morning after he won the Lone Star State's gubernatorial election. I start to believe that the president elected in 2016 will be leaning towards Tea Party. Perhaps, Kelu. With any luck, R's may realize that the past many years of wishy washy is killing them. I swear, if the next Presidential offering is another Romney or McCain, I may just vote for the 3rd party, even if I do think it's a lost cause. Another Romney or McCain would be a lost cause, anyway. SHMIV wrote: Perhaps, Kelu. With any luck, R's may realize that the past many years of wishy washy is killing them. Then you're voting for the Democrat in will what be the most important election ever®! Vote your conscience and sleep soundly. Plus simply being a Dem puts you within a hairs breadth of 270 electoral votes by virtue of being a Dem so I wouldn't agonize over it too much. Any Republican is basically screwed for the WH anyway. Conscience? No, that has nothing to do with it. It's practicality. Another lackluster, "electable" Republican won't get voted in, anyway. That's become painfully clear. I also doubt that a third-party candidate will make it. But, in the event that I happen to like the third-party guy, may as well try the "send a message" strategy, and cast a vote his way. Of course, if I don't like the third-party guy, I guess I'll stick to the old battle plan. Maybe conscience does play a role, after all. I guess we'll see what the Republicans do with some regained power. If they drop the ball this time, the White House may never be occupied by a Republican, again. They have folks! It's just not their "turn". Bullsh't! Hate that crap! It's why VA keeps losing SENATE seats!